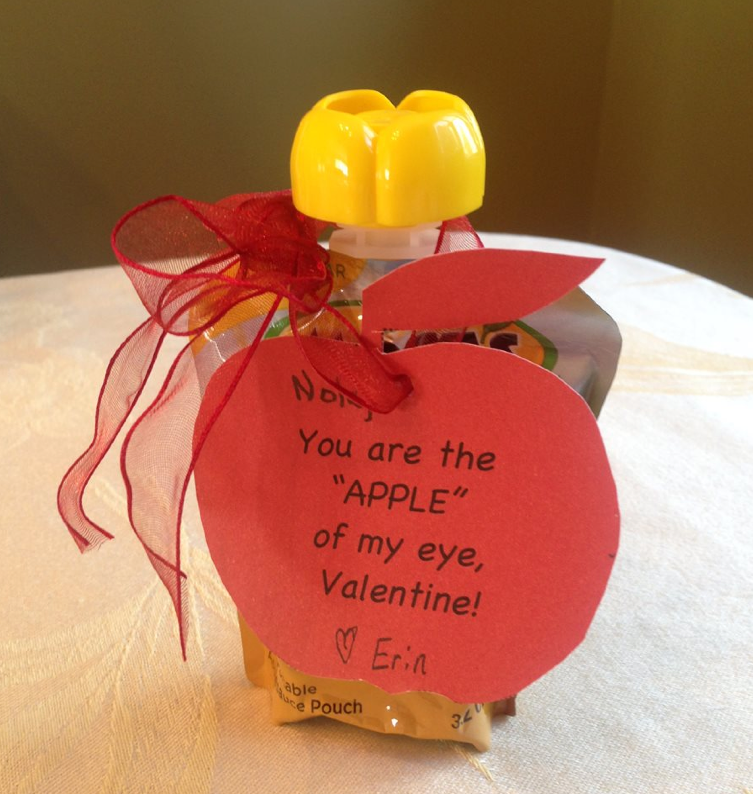 Price Chopper: Kids Valentine DIY Project Using This Weeks Cheap Mott's Applesauce To Go Packs! 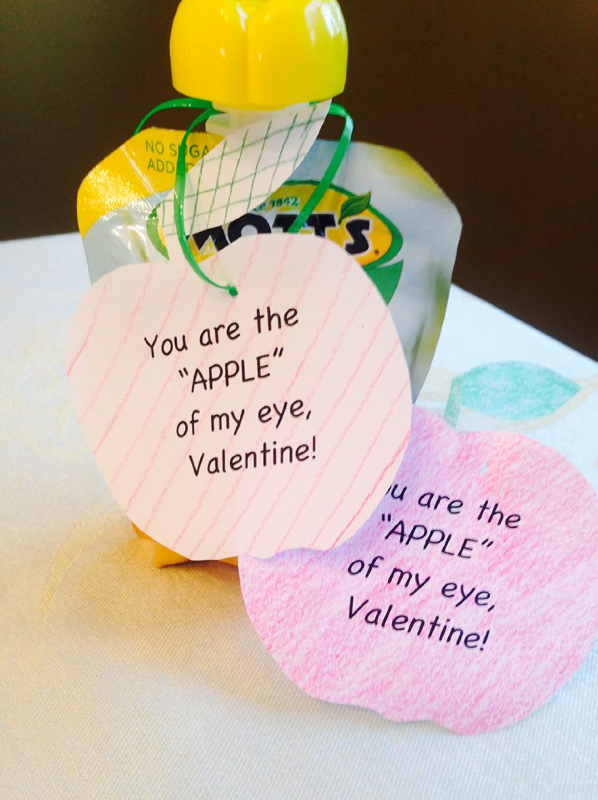 Here is a cute and easy diy kid's Valentine project to take advantedge of this weeks cheap Mott's To Go Applesauce 4 packs! (5-6) Mott's To Go 4 packs, depending on your child's class size. Or just use regular computer paper that your child can color! Anything you have around the house can be used to tie the apples to the applesauce: twine, yarn, ribbon, etc. 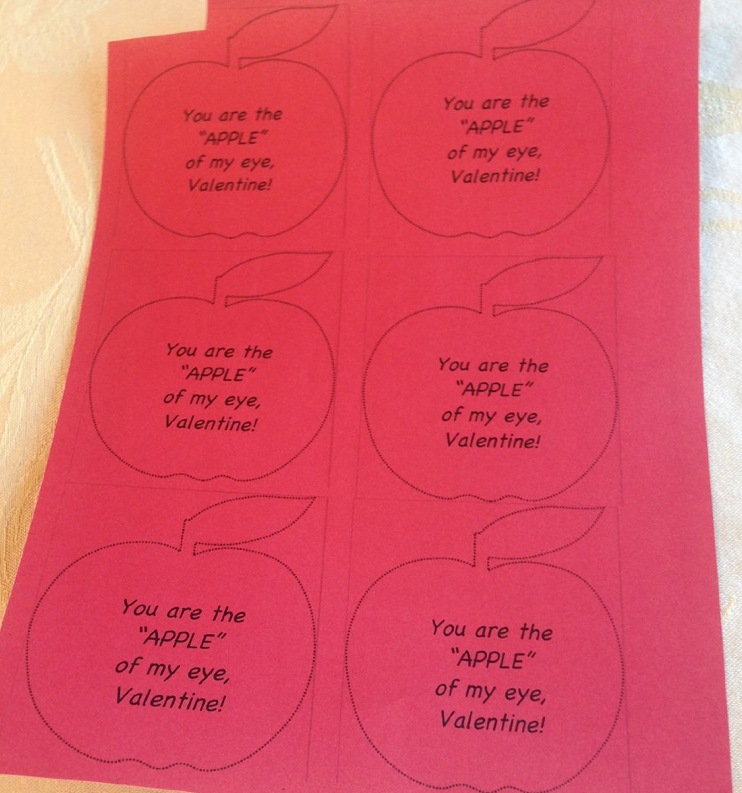 Use a hole puncher to punch a hole through the apple or just poke through with a pencil like I did! Approx. price for 20 valentines: $5.16 for 20 Mott's To Go Applesauce packs + (4) cardstocks papers @ ~$0.33 each at A.C. Moore (or just use constructions paper or computer paper) = ~$6.48!